On my last post I wrote about finding local inspiration for a nature inspired garden. In that post, I specifically wrote about the Central Tallgrass Prairie. Today, I will write about my favorite landscape, the forest. The Appalachian forest is probably my favorite. 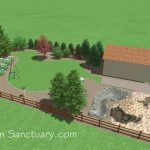 However, as I wrote about in a past post, I probably should not try to create a garden inspired by it in Northern Illinois. That is, unless I want struggle to grow plants that don’t like my high pH soils and cold winters. It can be done. I work at an Illinois garden whose main flowering shrubs are Rhododendrons! However, it’s a lot less work when your plants prosper without pampering. So instead of looking to Tennessee for inspiration, I should look at the Forests and Woodlands of my area. Let’s first look at the distinctions between Forests and Woodlands. Unlike Tennessee, dense forests are rare in Illinois. This is because we are on the prairie side where the eastern forests meet the central prairies. The plants that make up the eastern forests typically have little resistance to the fires that were common in the prairies. 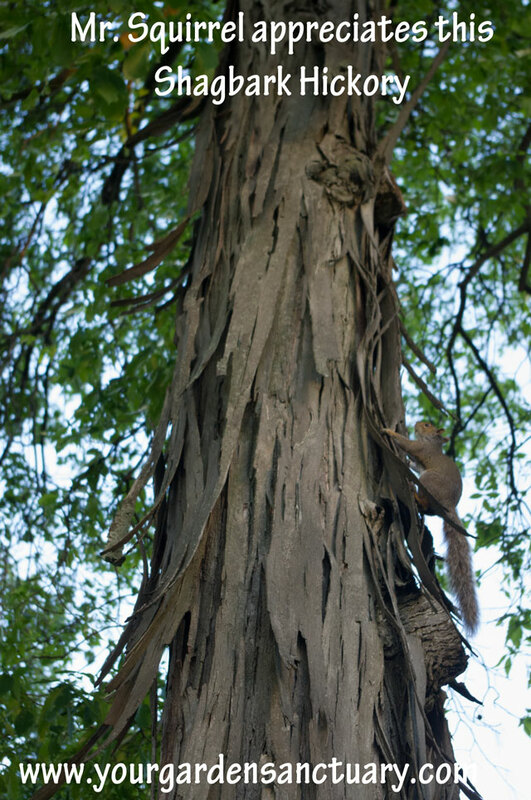 Trees with thinner bark such as beeches were killed when wild fires would occur. This left the thicker barked, more fire resistant oaks and hickories to dominant. The forest of the Appalachian region is an absolute favorite of mine. Woodlands are more open and more light reaches the ground. Woodland trees tend to need more light than the trees of the eastern forest. Therefore, they are spaced a little bit farther apart. They are not as far apart as in a Savanna, which are basically open grown oak trees with modified prairies underneath. The perception of a little bit of extra light being available in a woodland over the forest may possibly have some psychological effects on us. 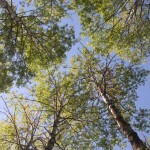 There is some evidence that exposure to the more open canopy of the woodland may help people recover from stress more than a denser forest. This could be a good reason to use the Woodland as garden inspiration. I am located in an area where the woodlands are classified as the North-Central Interior Dry-Mesic Oak Forest and Woodland. This can be further broken down into one of eleven different plant associations. How I decide which of these starts with a walk through my neighborhood. If you were take a walk through my neighborhood you can still see remnants of what was here before it was developed in the late 1960′s. Mature Shagbark hickories, Bur, and White oaks still stand proud in many yards. In the wetter undeveloped woodlot behind my house you can also find mature Red Oaks. I unfortunately do not have any of those majestic trees in my yard. In the lot behind my house, it is a different story. 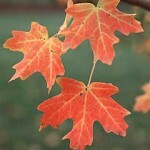 In it there are Northern Pin Oak, Northern Red Oak, and White Oak. 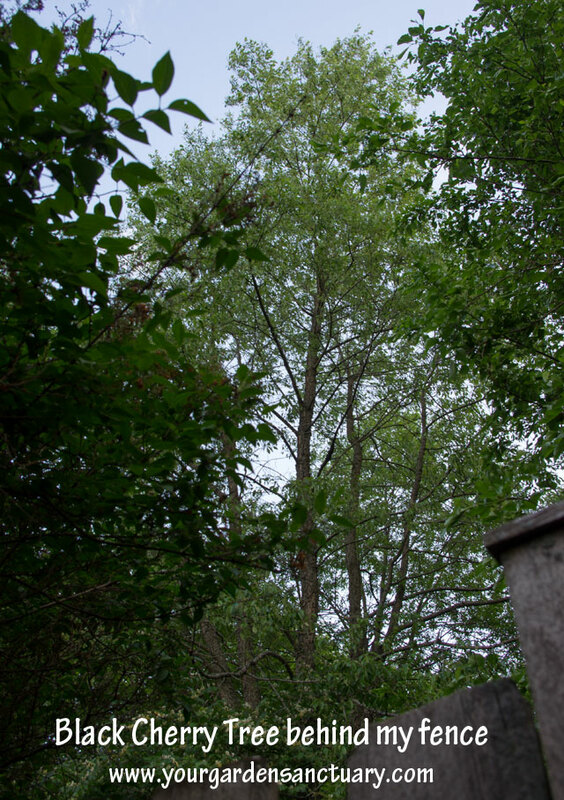 There is another native right behind my fence, a scraggly Black Cherry (Prunus serotina). While not the prettiest of trees. It is one of the best for wildlife. Lots of local bugs and birds feed on it. 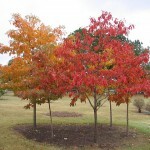 It is not an ideal front yard tree, but certainly a great one to add to a more natural area of your property. In fact, black cherry is host to over 200 species of butterflies and moths. The cherries are eaten by some 70 bird species, including thrushes, ruffed grouse, woodpeckers, cedar waxwings, and grosbeaks. If the cherries have fermented, the birds can even become intoxicated. So you might not be the only thing in your yard that is glassy-eyed and staggering after having one to many. 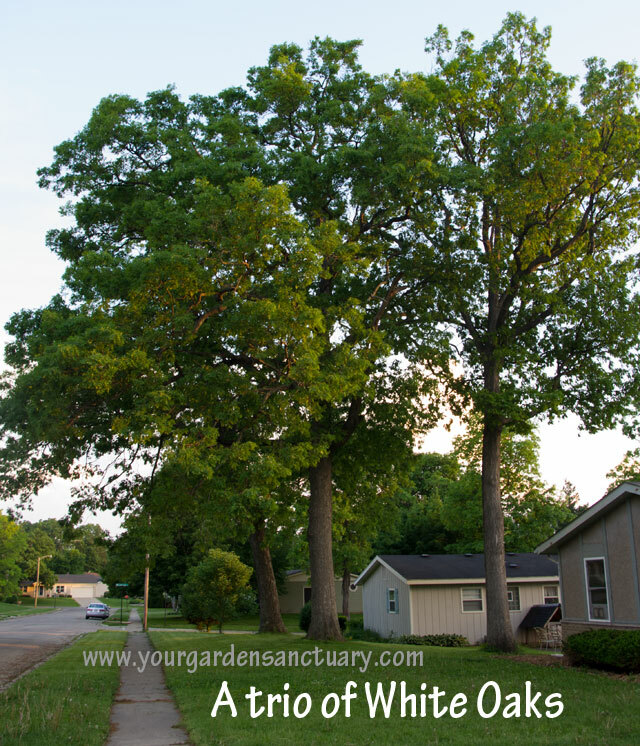 From my walk, it appears that White Oak and Shagbark hickory are dominant trees in my neighborhood. 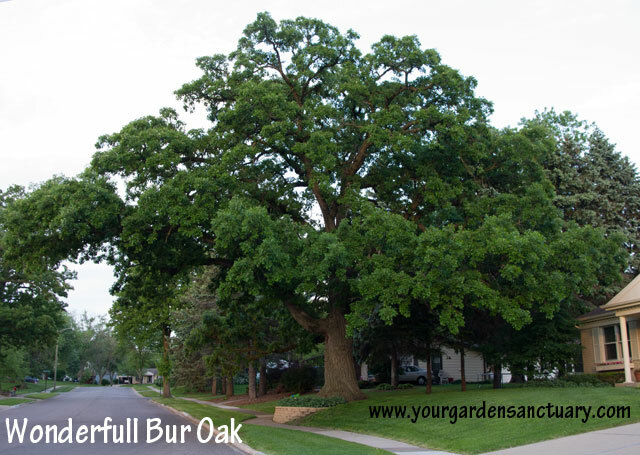 The natural area adjacent to it has a Northern Red Oaks (Quercus rubra) and White Oaks. 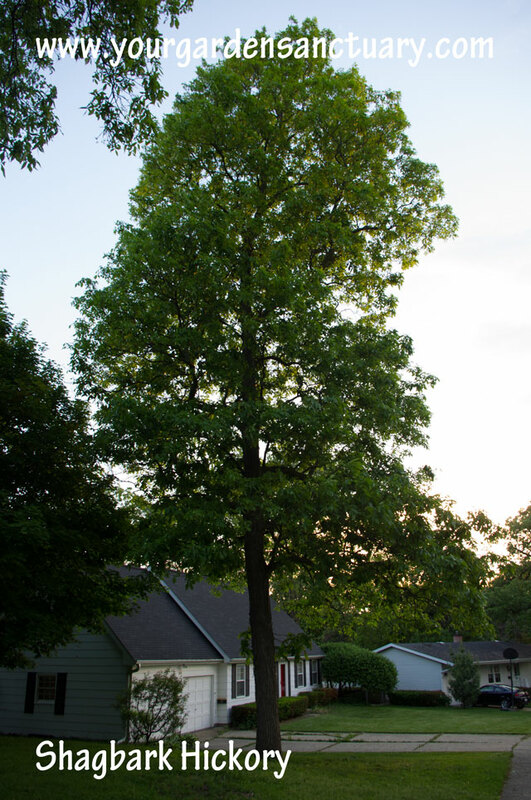 By looking at the 11 possible plant associations within the North-Central Interior Dry-Mesic Oak Forest and Woodland, it appears that the plant association that most matches my neighborhood is the White Oak – Northern Red Oak – Shagbark Hickory Glaciated Forest. This is a good thing to know. With this information, I can find other native plants that would naturally be found in this plant association. On the next post we will do just that as well as describe how the plants of the forest are arranged. How this info can help you select plants for your garden will also be shown. 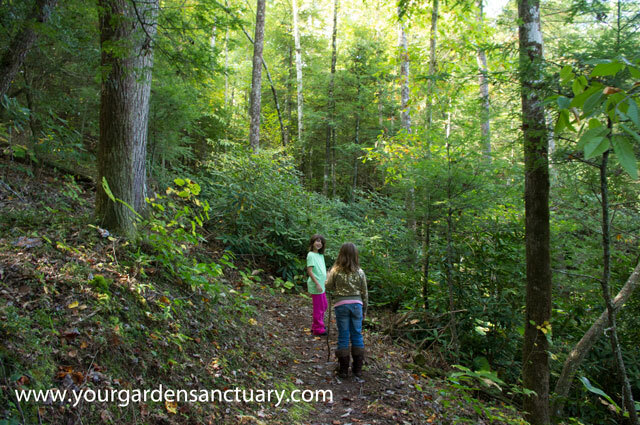 In a couple of posts, I will show you how you can find out what natural area types are near you (or any place else in the U.S.) and what plants go with them.